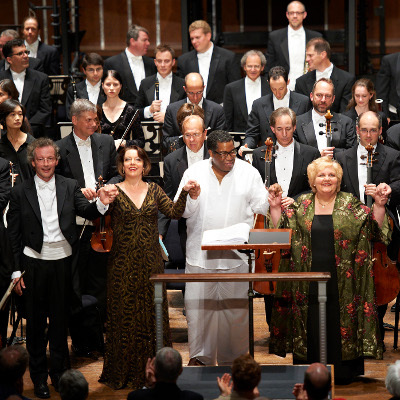 I went to Salome at Carnegie Hall with the Cleveland Orchestra and Nina Stemme and Eric Owens and Franz Welser-Möst and I wrote about it for Bachtrack. soprano—which makes it unusually well suited to concert presentation. mysterious when its subjective visualization is left to the imagination. swirl of images in the orchestra. Nina Stemme in the title role. You can read the whole thing here. Stemme was magnificent and Welser-Möst disappointing. Do all the conductors now consider swiftness and textual transparency the absolute highest virtue (HIP birds coming home to roost?)? Or have I just overdosed on Fabio Luisi? I’d kind of like to hear someone try something dense and thick for a change. Stemme could certainly handle it. Most of my recent Salomes have been lyrics with ambition and I found a real dramatic voice refreshing, particularly Stemme, who is loud but at the same time still so nuanced. I am greatly looking forward to hearing her sing Brünnhilde this summer. I always think Welser-Möst is disappointing. Nina was fantastic. I also really liked Henschel as Herodias, although I'm hoping to catch Gabriele Schnaut in that role at some point.